Christian Capitalism: Do European Social Engineers Know More About Products Than Their Actual Engineers? Socialists love central planning, but they hate another type – planned obsolescence. According to the report “EU aims to abolish planned obsolescence,” they have banned the practice before they identified what it is. In case readers have forgotten the lesson they got from high school social sciences, a definition of planned obsolescence is “a policy of producing consumer goods that rapidly become obsolete and so require replacing, achieved by frequent changes in design, termination of the supply of spare parts, and the use of nondurable materials.” High school and college social studies teachers use the term to claim that manufacturers cheat people by charging high prices for products that wear out sooner than the teacher thinks they should. In other words, social studies teachers think they know more about engineering than all of the engineers working for manufacturing companies. One wonders why they settle for a low paying job when they could be wealthy engineers. There are two way products can become obsolete. 1) They wear out or 2) newer technology causes people to no longer want them, as happens with succeeding generations of cell phones. Manufacturers have solved the first problem. They give consumers a choice between products that last a long time and those that wear out sooner. Of course, the ones that last longer tend to cost more because the quality of materials in them makes them more expensive. Think of men’s suits. Electronics are similar. Manufacturers of electronic components, such as chips, test the quality of their products and assign the best ones to the broadcast industry. Those in the middle level of quality go to businesses and the poorest quality goes to consumer cameras, phones and computers. For example, broadcast quality video cameras, such as those used to air NFL games, cost millions of dollars. How many consumers will bid against CBS to get those cameras to make home movies? Most consumers are content to have a camera last five years if it costs them a few hundred dollars. New technology or just a change in style can make product obsolete in the eyes of consumers. Consider cars as an example. There will be nothing better about the 2019 BMWs compared to the 2018 version. The 2018 model still has more than a decade of life left in it. So why do people trade in the old for the newer models? One reason is to signal status to others, but everyone has their own reasons and the government has no right to tell us that some reasons are better than others. What is really behind this silliness on the part of the EU Parliament is mainstream economists’ fetish for perfect competition. In that fictional world, all products are exactly alike in quality and features, even color, so that producers compete only on price. No producer can add new technology to improve their product. The USSR and India followed that economic model with their production of cars for decades. 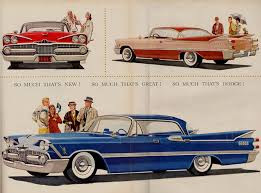 They came out with cars based on technology in the 1950s and continued to produce the same car with the same technology for almost 50 years. When socialism collapsed and both countries allowed imports of newer models, the old companies couldn’t give away their cars. Some of us like to rebuild old cars, but no one doubts the superiority of modern ones. Had the US enforced “perfect competition” at the turn of the last century, we would still be driving Henry Ford’s Model-T. Politicians everywhere always think they are smarter than everyone else, but I can’t help but remembering the city council that voted to ban dihydrogen monoxide (H2O) from landfills. The only thing obsolete is the European Parliament and its economics.